2019 Honda Civic- Five things you must know about this premium sedan! 2019 Honda Civic- Five things you must know! The 10th generation Honda Civic is all set to launch in India soon. Here are the five most important things that you should know about this premium sedan. OAfter being absent from the Indian market for quite some time, Honda’s popular D-segment sedan, the Civic, is all set to make a comeback. The 10th generation iteration of the Honda Civic is expected to launch in India during the month of March this year. On launch, it will once again compete against the likes of Skoda Octavia, Toyota Camry and the Hyundai Elantra. Here are five things that you need to know about this premium sedan. ONE: The 2019 Honda Civic is currently running in its 10th generation iteration globally. it received its mid-life update last year and it is this iteration that is going to launch in the Indian market. The sedan made its first public debut in India during the 2018 Auto Expo. The iteration that we saw there was the pre-facelift version. 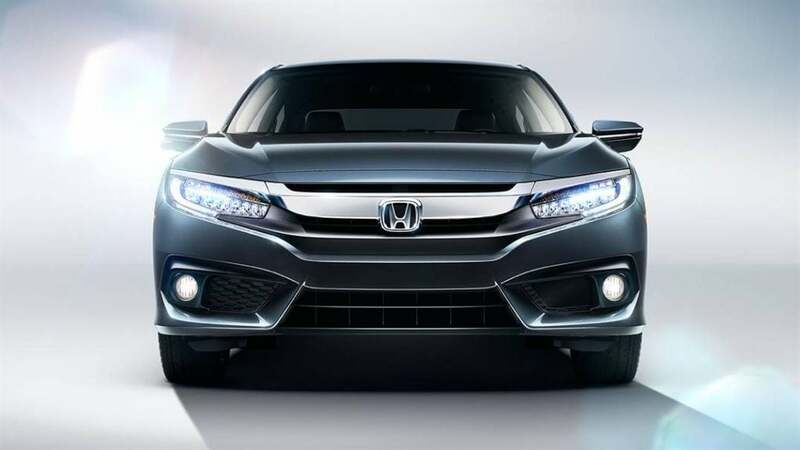 TWO: Since the Honda Civic is a D-Segment sedan, it will sit above the Honda City in the automaker’s product portfolio. We expect prices to start from INR 16 lakh and clock INR 20 lakh for the top-spec variant. Honda has been keeping the variant line-up of its model minimalist, hence expect the Civic to follow a similar pattern. We would not be surprised to see if Honda launches the Civic in a single variant with the only difference being in the form of its powertrain options. THREE: Talking about powertrains, the 10th generation Honda Civic will arrive in India in petrol as well as diesel engine configurations. The petrol derivative is likely to be a 1.8-litre unit capable of churning out 140 BHP of power along with 174 Nm of peak torque. The diesel engine, on the other hand, will be the same 1.6-litre unit which made its debut in India with the all-new Honda CR-V last year. Transmission options are likely to include only automatic options. However, the petrol derivative might just get a manual unit. FOUR: Honda cars are known to offer decent quality levels and the Civic being a premium offering, the same becomes quite obvious to expect. It is no doubt about the fact that the Civic will be loaded up-to-brim with features and creature comforts. It will get LED headlamps, LED tail-lamps, a part-digital-part-analogue instrument cluster, dual-zone automatic climate control. leather upholstery, automatic headlamps, rain-sensing wipers, touchscreen infotainment system with Android Auto and Apple Car Play among others. FIVE: In addition to offering a wide array of features and creature comforts, the 2019 Honda Civic will score high in-terms of its safety equipment list as well. Multiple airbags, ABS with EBD, Electronic Stability Control, Traction Control, Hill Start Assist, Hill Descent Control are some of the passive and active safety features that this sedan might get.